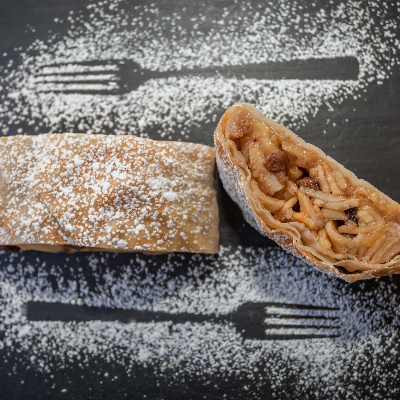 Apple Strudel is a traditional Austrian pastry and a popular desert in many European countries that once belonged to the Austro-Hungarian empire (1867–1918). 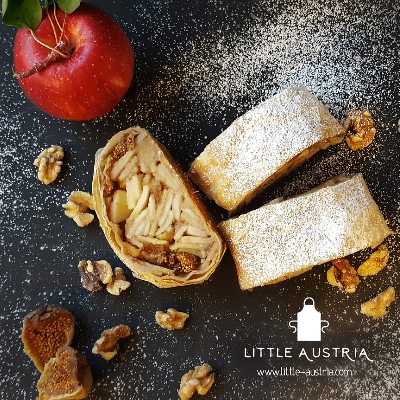 Little Austria's traditional Apple Strudel is not too sweet and is prepared with local apples, organic & local flour and organic cane sugar. 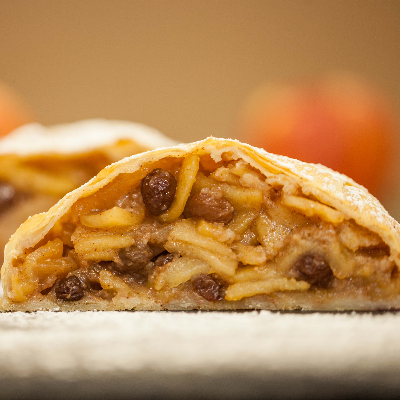 Made with hand-stretched strudel-dough and available in many varieties this is your perfect weekend indulgence.